Russia has lots of interesting in-car camera videos. This car chase here shot by one of the cop cars is no exception. 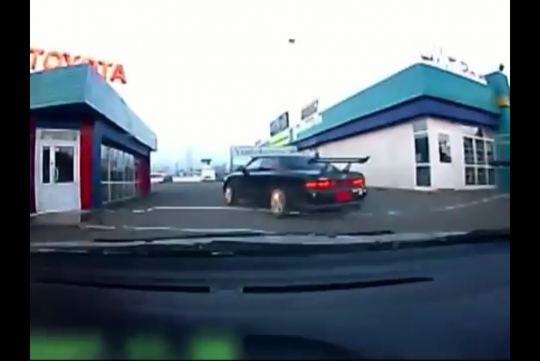 Watch this 24 year old lead the cops on a wild chase through the streets of Irkutsk, Russia, in his Toyota Mark II. I must say he drove pretty well considering he was drunk and he was driving a high-powered rear-wheel drive car!